Our experienced staff would enjoy the opportunity to care for you and your family’s dental needs. We invest in ongoing education and technology to better serve you. We have a state-of-the-art sterilization room and offer digital x-rays for your safety. Whether it’s your child or your parent, we treat them like they were our own. Your oral health and comfort is our top priority. If you’re looking for a new dentist in the Aberdeen area, give us a call to set up an appointment. Regular dental exams are important for your oral health. We recommend a cleaning and check-up every six months. During an exam we will clean your teeth, evaluate the health of your gums, identify any concerns with your teeth with digital x-rays and we’ll also screen for oral cancer. 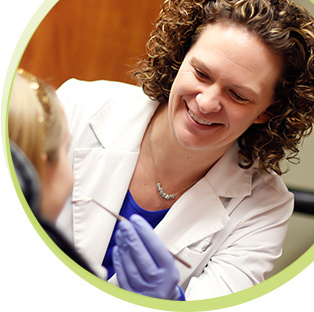 We’re happy to answer any questions you may have and will provide recommendations to improve your oral health. A dental filling is needed when a tooth has decayed. A filling will repair tooth function and prevent additional decay. Fillings are available in silver, composite or porcelain. While silver is a less expensive option, the composite and porcelain options are made to match the color of your other teeth. We’ll be happy to help you determine the best dental filling option for you. Dental sealants are used to protect newly erupted teeth from decay. A thin plastic coating is placed in the grooves of the back molars. The grooves of these back teeth often get missed in brushing by children and teens, resulting in cavities. Sealants help prevent cavities and many insurance companies cover sealants as well. Tooth extractions may be required for a variety of reasons. Whether it’s to address a crowding issue or to prevent infection as a result of tooth decay, we’ll make you feel as at ease as possible. Visit our FAQ page to read our instructions for patients following a tooth extraction. A dental crown, sometimes referred to as a “cap” is placed over a tooth to improve its shape, size strength or appearance. Crowns may be used to repair a cracked or broken tooth, or as a preventative measure to protect a weak tooth. It can also be used for cosmetic purposes to cover discolored or irregularly shaped teeth. If a tooth extraction has left you with a gap to fill, a dental bridge can be used to anchor a false, replacement tooth. A bridge is created by placing a crown on the two teeth next to the gap and then by anchoring the false tooth to the crowns. False teeth are made of gold, porcelain or a combination of both to match your smile. For our patients who are unhappy with the color of their smile, we offer teeth whitening. Over time your teeth may become discolored or may have stains; we offer both in-office and at-home options to brighten your teeth. We will evaluate your coloration concerns and discuss your desired results to determine which tooth whitening option is best for you. A veneer is used to improve the appearance of a stained, broken or chipped tooth. Veneers are a thin covering for your tooth that’s made of porcelain. They are created to match your other teeth. Veneers can also be used to enhance your entire smile. If you’re not satisfied with your smile we’ll be happy to walk through your options and help you create a smile you will love.